In September 2010, Amanda joined Cailor Fleming as a receptionist and moved to the commercial department as a processor in February 2011. She obtained her Commercial Lines Coverage Specialist (CLCS) designation on July 6, 2011, after completing The Hartford School of Insurance Virtual CSR/Account Manager Program. The seven-week program includes four weeks of pre-work and three weeks of online classroom sessions for four hours a day. She earned her designation after successfully completing three weekly exams. From August 8 – 12 of that same year, Amanda participated in Property and Casualty Pre-Licensing Education Courses at Hondros College. On August 22, she passed her Ohio Property and Casualty Insurance Licensing Exam, earning her Ohio licensure for Property and Casualty. In January 2013, she took on her current position as CSR at Cailor Fleming. 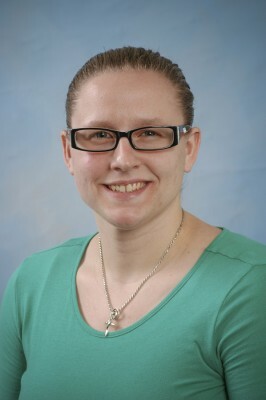 Amanda earned her Bachelor Degree in Business Management from Slippery Rock University. In her free time, Amanda loves spending time with her nephews and niece, and enjoys playing and watching sports.